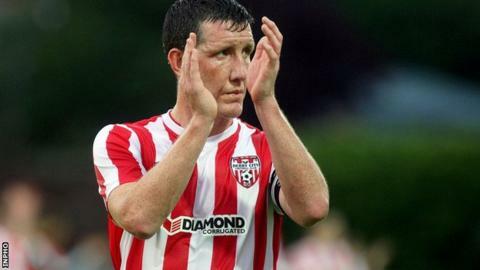 Derry City captain Cliff Byrne has left the club by mutual consent after spending less than a season at the Brandywell. Former Candystripes' manager Roddy Collins brought Byrne to the club from Scunthorpe at the start of the season. The experienced central defender played 21 times for the club, but his appearances have been limited since the arrival of new manager Peter Hutton. He is currently out injured and left the club late on transfer deadline day. Derry have lost four of their last five League of Ireland games and lie sixth in the table. They face an FAI Cup quarter-final away to Drogheda United next month.